Kate embarked on his project with the initial question, “How does Berlin operate in the graphic novel?” Specifically, how does the setting of Berlin create a graphic atmosphere of collective memory, monument, and void in Sebastiano and Lorenzo Toma’s graphic novel adaptation ofDer Himmel über Berlin (originally a film by Wim Wenders)? 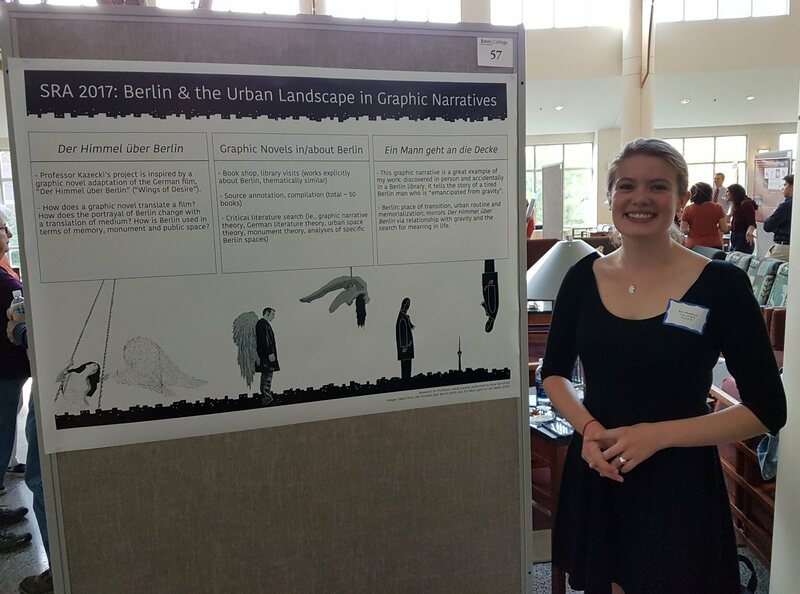 During her research apprenticeship with Professor Kazecki, Kate studied basic graphic novel theory for context, and hunted for annotated graphic novels set in Berlin (and which she believed to be thematically similar to Der Himmel über Berlin) both in/around the city itself and online, and compiled an extensive bibliography of secondary source material relevant to his project (on graphic novels, on Berlin, and on urban landscapes, for example). The end result is a substantial annotated collection of both primary and secondary sources. Can the scavenger hunt format be used to teach a sufficiently rigorous undergraduate course on Berlin’s history, culture, and urban landscape? 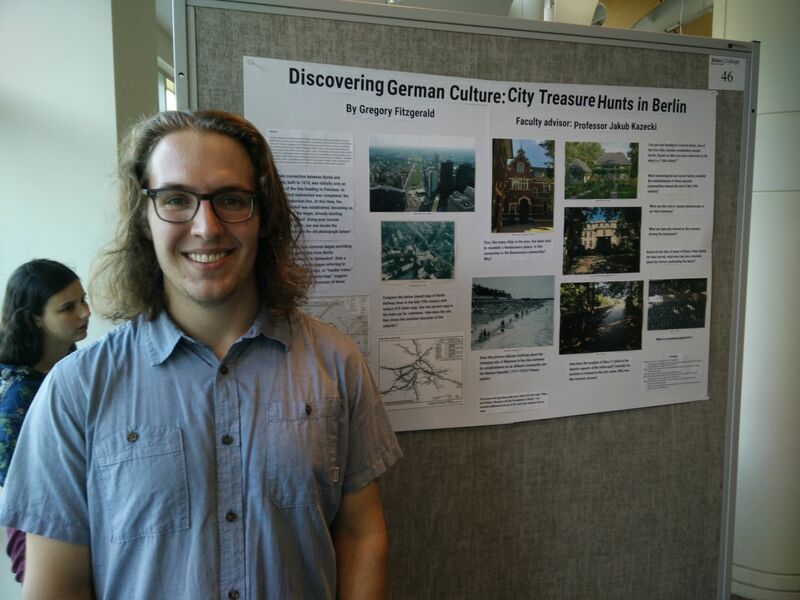 For ten predetermined historical and cultural themes, Greg set out to create a scavenger hunt in Berlin, which, paired with discussion sessions, would build an undergraduate course for English-speaking students in Berlin. Greg proceeded systematically by collecting data on site (GPS coordinates, photos, notes), drafting logistically sound routes, testing the directions, conducting in-depth research on each topic, and finally by creating specific on-site tasks aimed at effectively communicating the desired learning outcomes for students. He completed five of these routes. Five additional routes remain in the research stage. In their completed form, the routes offer a progressive, hands-on format to teach students about Berlin’s cityscape.